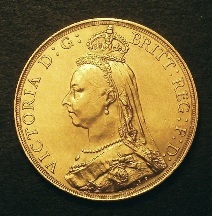 1986 Pattern Crown 1820 George IV. A collection of 10 trial coins made at the start of the Patina retro pattern series by INA Ltd to test dies and the use of specific metals. One of only ten sets made. Each specimen has an obverse draped laureate portrait of George IV left facing right (similar to that used on contemporary Irish coins) coupled with a plain reverse inscribed with the word ‘MODEL,? placed horizontally across the diameter. The other pieces have the crowned shield with thistle and rose motif and the date 1820, as featured on the reverses of the Halfcrown, shilling and sixpence 1820-1823. The collection consists of 2 pieces (obverse and reverse) in proof .925 sterling silver, 2 pieces (obverse and reverse) in proof Piedfort copper, 2 pieces (obverse and reverse) in bright pewter, 2 pieces (obv. and rev) in golden alloy, and 2 pieces (obv. and rev.) in nickel silver. 10 sets made.